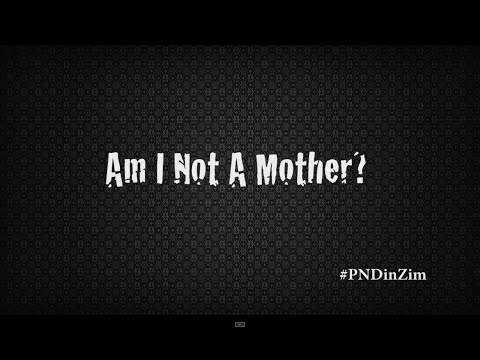 Hona Africa, a boutique production company that saw the need to elevate awareness on the often misdiagnosed and misunderstood condition of Post Natal Depression, particularly in the African community has released a short film - Am I Not A Mother? The focus of the film is on Zimbabwean mothers who have suffered from the stigma of having this condition. The aim of the film is to share the stories of these women and to inspire others to speak up and seek support.Having a baby is usually thought of as a happy time. However, many new mothers may not necessarily feel this straight away. Women may experience a brief period of feeling emotional and tearful – known as the 'baby blues'. It usually starts 3-10 days after giving birth and affects around 85% of new mothers. It is so common that it is considered normal. However, around 10-15% of new mothers develop a much deeper and longer-term depression known as Post-Natal Depression (PND). It usually develops within six weeks of giving birth and can come on gradually or all of a sudden. It can range from being relatively mild to very severe. Between 10 and 30% of all mothers, in all circumstances, suffer from this middle-range depression. PND may develop slowly any time during the first year of the baby’s life. Untreated, it may continue as a chronic low-grade depression, becoming more acute with subsequent births. Every mother is different, and may have different combinations of symptoms.“Am I Not A Mother?” gives these forgotten mothers a voice. Hona means "see" and “Hona Africa” wants you to see Africa. Hona Africa is fledging independent production company created with an ambition to champion the true spirit of Africa. Founders Lawrence Zidyana and Christine Rupiah hope that by being distinct, innovative storytellers, they can bring the best of Africa combined with the highest production values. Overcome depression Lawrence Zidyana Post Natal Depression Depression Hona Africa Christine Rupiah Am I Not A Mother?